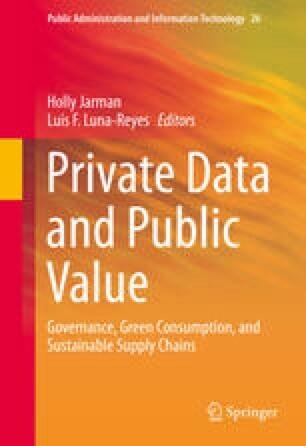 This chapter focuses on the identification of key challenges to building a data architecture to improve sustainability in supply chains as well as providing consumers with better information for decision support. The chapter builds on the trends of sustainable consumption and sustainable supply chain management and incorporates the views of key stakeholders in the coffee supply chain that we interviewed. Key challenges relate to accuracy and credibility of data in the system, to the availability of technical expertise and infrastructure across the supply chain, as well as with legal aspects related to data ownership, privacy, and confidentiality. Finally, finding appropriate ways of funding the architecture constitutes another important challenge.